Big Island police are renewing their request for the public’s help in locating a 68-year-old man who was reported missing on June 3 of last year. Annad Arkangel has no permanent address but was known to frequent the Kea’au area. His son in California last heard from by telephone on August 15, 2008. Arkangel is described as Filipino, 5-foot-5, 110 pounds with brown eyes, a slim build, balding gray hair and a dark complexion. Police ask that anyone with information on his whereabouts call Acting Lieutenant Reed Mahuna at 961-2252 or the Police Department’s non-emergency line at 935-3311. Tipsters who prefer to remain anonymous may call Crime Stoppers at 961-8300 in Hilo or 329-8181 in Kona. All Crime Stoppers information is kept confidential. Big Island police are asking for the public’s help in locating a 67-year-old man who was reported missing on June 3. 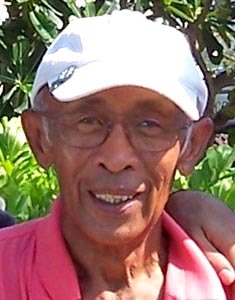 Police ask that anyone with informaton on his whereabouts call Officer Fetuutuunai Amuimuia at 961-2213 or the Police Department’s non-emergency line at 935-3311. Tipsters who prefer to remain anonymous may call Crime Stoppers at 961-8300 in Hilo or 329-8181 in Kona. all Crime Stoppers information is kept confidential.